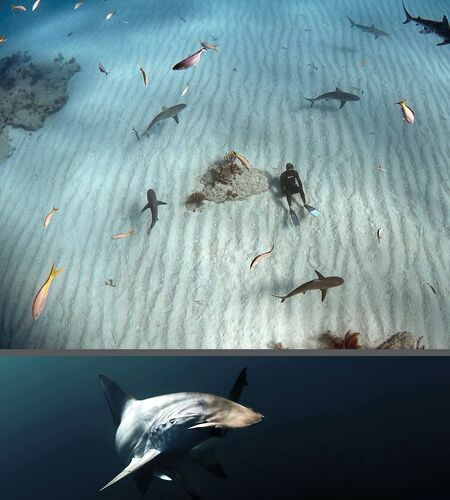 Above: Freediver and nurse sharks, Bahamas. Left: Hammerhead shark. 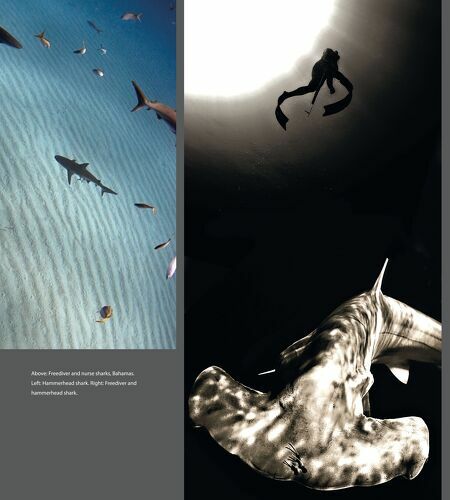 Right: Freediver and hammerhead shark.